The signature Reverie 5D adjustable bed foundation is elegant, instant comfort at your fingertips. Upholstered in light gray fabric, the 5D includes pre-set and programmable positions, massage and unlimited adjustability. The 5D Signature Curve adjustable foundation features light gray upholstery and virtually unlimited head and foot positions. 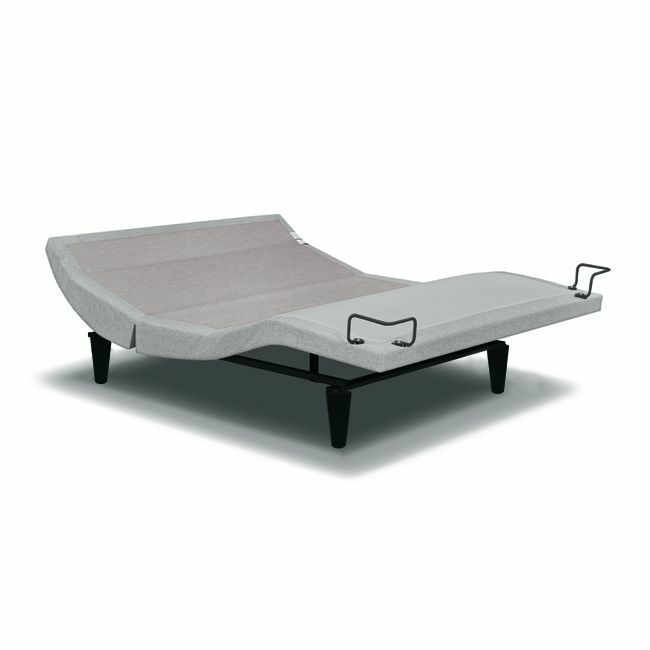 Raise or lower the bed with the touch of a button to find your most comfortable sleeping or resting position. The 3D Wave™ technology is truly what dreams are made of. Ultra-quiet so you don’t want your partner or anyone else in the home, it features 10 unique intensity levels, a full body massage mode, and 3 special wave modes. It’s true… The Reverie 5d adjustable base is more than just a mattress foundation! Incredible 3D Wave™ massage technology with 10 intensity levels, full body and 3 wave modes. Bluetooth® technology for controlling your bed. 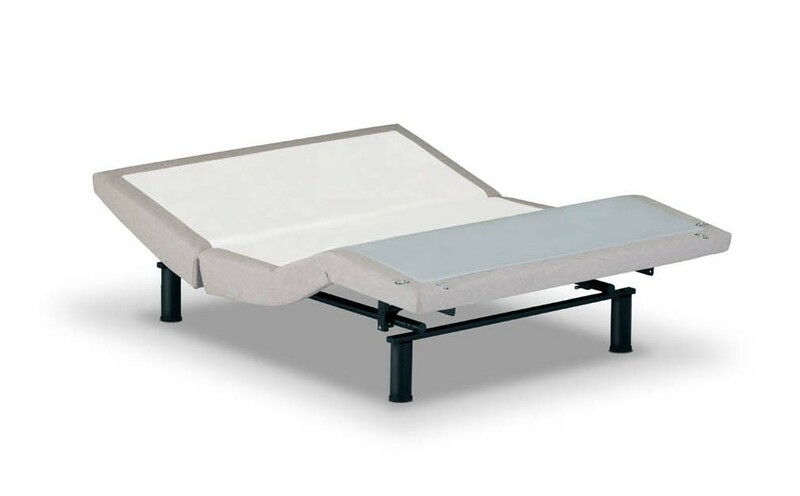 Optional accessories for your adjustable bed include: 3″ leg extensions, headboard brackets, and more. Life control: Up, down and flat control buttons. Pre-programmed Zero-gravity and Anti-snore positions. Massage controls to change massage area, intensity, or stop it all-together. Reverie has one of the best adjustable bed warranties in the industry.